“Winemaker dinner” is probably one of my favorite phrases. Why you ask? Well, it combines what we’ve long since established are two of my favorite things: food & wine. If you’ve been following along with me on this blog, you’ll see that I’ve attended several winemaker dinners over the past year and a half and always have raving reviews afterwards. That probably has a lot to do with how picky I am when attending them, the perfect wine and the perfect restaurant make quite the excellent pair. You really can’t go wrong when you attend one for wines you enjoy at a restaurant that is notorious for delicious dishes! 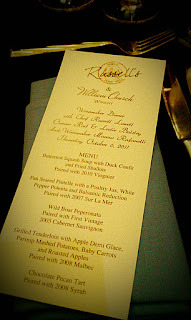 That principle is what brought me to the William Church Winery (@wmchurchwinery) dinner at Russell’s Dining & Bar (@RussellLowell / @RussellsDining). I have long enjoyed the wines of William Chuch, the owners of which happen to be WSU Alum (Go Cougs!). While I had tasted through their line-up on numerous occasions, I had yet to try their selections with food pairings, something I was very excited for. This dinner featured a five-course menu paired with five of the William Church wines. The evening was held in the beautiful upstairs loft area at Russell’s, which I had only ever previously seen empty! It was a beautiful room with the dinner tables all set out and was the perfect setting for our meal. While I can happily say that there are MANY great wine events held throughout the year, the Taste of Tulalip is by far my favorite. 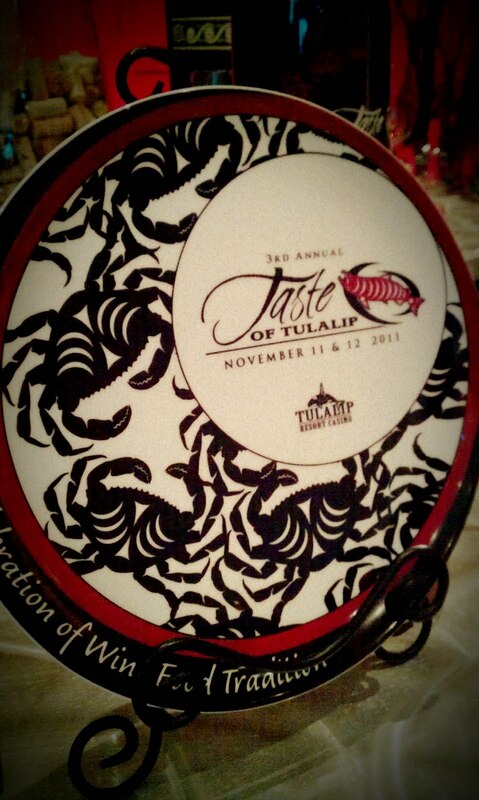 The 2010 event (read my write-up on it here) was amazing, featuring top of the line wines from Washington and California and delicious bites from the many talented chefs of the Tulalip Resort. I've been checking off the days on my calendar in anticipation of this year's festivities and from the preview event I attended, this year will be even better than before (I don't even know how that's possible, last year was incredible). 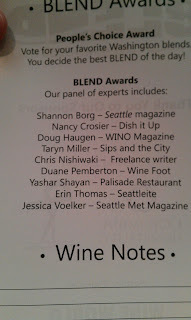 For this year’s Columbia BLEND event, held September 18th, 2011, I was honored to be asked by event promoter Jamie Peha (@TableTalkPeha) to be on the panel of judges for the “BLEND Awards”. Now, I’ve tasted a lot of wine in my day, but this was the first time I’d been asked to participate in something like this, so I was excited! Little did I know it would be so much work! This year’s event featured over 40 wineries pouring 130+ wines, all blends. The lovely Erin Thomas (@erindrinkswine) and I arrived at BLEND an hour before kickoff, ready to don our stemware, clipboards, and spit cups in an effort to taste through all of the wines being poured at the event. 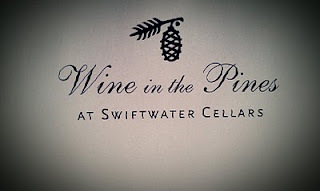 Back at the end of August, I once again headed into the mountains to visit the beautiful Swiftwater Cellars (@SwiftwaterWine). If you remember, I visited back in June to tour the winery and learn about Wine in the Pines. Well, the event had finally arrived and we packed up the cars and headed east into the sunshine and some serious temperatures. 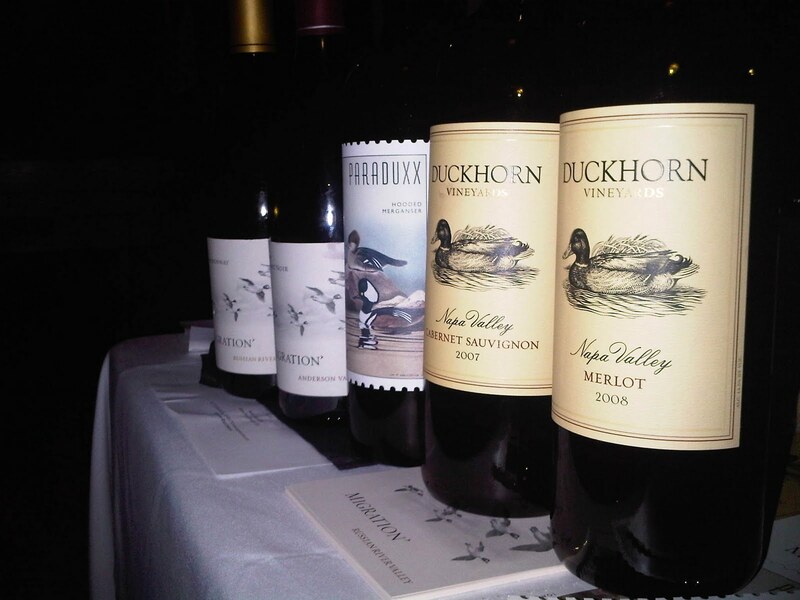 The event was divided into several different sessions, which included the Celebrity Seminar, the Grand Gala tasting, and the concurrent “Meet the Maker” tastings and Winemaker Dinners. It was a jam packed day for attendees, but worth the drive and the heat! 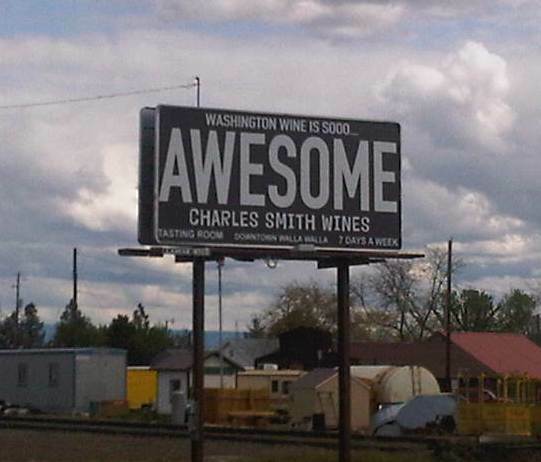 Sips on the Road: Washington Wine does it big in the Great State of Alaska! Yes, it’s true. Washington wine DOES exist outside of Washington. But sometimes one must make sure the wine, which is often not distributed outside of Washington, makes it to far away places from time to time. This story begins with a single bottle... What happened from there brought joy to a wedding and helped ring in the start of a new life for one happy couple. BOOM! This was the soundtrack to my weekend here, as it was almost cherry harvest time, and in order to keep the birds off the fruit, the orchards have "cherry guns" that sound like cannons to scare the birds away. These go off every few minutes and never failed to catch me off guard, even though I knew it was coming... and now, moving on..
Well if you remember, I had a post from last summer on my wine tasting trip to the Lake Chelan AVA. This has become an annual trip for me, both to see some family that lives at the lake and to try the latest releases from the wineries on the banks of beautiful Lake Chelan. I set out on Saturday with my great Aunt (she's great in two ways: in that she's my Dad's aunt, and that she's just pretty great) to check out a few new stops and several favorites. Unfortunately the weather didn't cooperate much until later in the day, but who needs sun, we can drink in the rain (inside...). Nestled back in the woods amongst the sprawling beauty that is Suncadia Resort, lies a new winery that is quickly changing the face of the typical “winery visit”. Swiftwater Cellars (@SwiftwaterWine), owned by Don & Lori Watts, has billed itself as “Washington’s ultimate destination winery”, a description that runs true. Their facility contains their production space, a large restaurant, a gift shop, and various rooms that can be used for private events. I was able to visit this awe inspiring winery recently along with several of my peers and there wasn’t an attendee amongst the group that didn’t leave impressed with every aspect of our visit. Well if you know me at all, you know that two of my loves have to do with anything WSU related and anything wine related. And as we’ve learned in the past (read my write-up on the Grape Cup here), when the two are combined I get pretty excited about it! 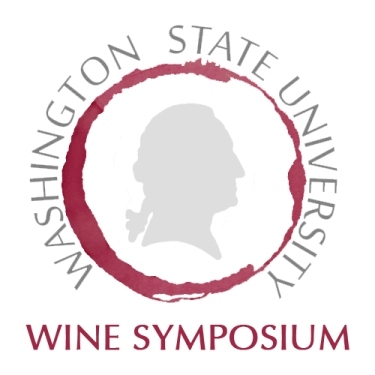 I’m so happy to once again be participating in putting on the 3rd Annual Washington State University Wine Symposium. This yearly event, organized by the Alumni Association and its trusty team of volunteers (that’s me! 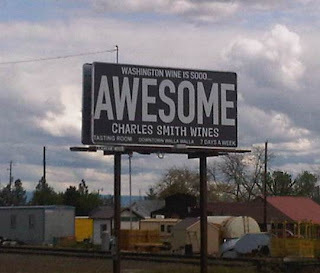 ), is a showcase for Coug owned and affiliated wineries in Washington State. Cougs love supporting other Cougs and this is a great way to discover some fantastic wines that happen to be made by fellow alumni! While I don't often find myself promoting Bellevue events (I am a die-hard Seattle girl afterall), this one was just too good to pass up. With such an amazing winery line-up for a Saturday afternoon affair, I figured I just had to share it with everyone! 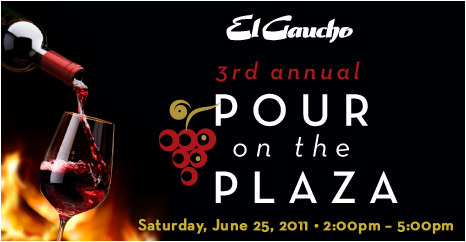 On Saturday, June 25, El Gaucho in Bellevue will host its 3rd annual 'Pour on the Plaza', where guests are invited to enjoy an array of delicious appetizers from El Gaucho Bellevue and Waterfront Seafood Grill while tasting wines from over 20 of the Northwest’s most distinguished wineries. This year the event will support the Rainier Vista Boys & Girls Club of King County. The event will be held from 2:00 to 5:00 p.m. and will be held on El Gaucho Bellevue’s new outdoor patio located in the City Center Plaza. Cost is $85 per person (incl tax & gratuity) and reservations can be made by calling the restaurant at (425) 455-2715. Complimentary valet parking will be offered at El Gaucho’s front door. In addition to sips and snacks, music will be provided by the upbeat Latin grooves of A Cedar Suede. Guests will also have the opportunity to meet Season 1 Top Chef David Martin, who will be making a special appearance to autograph his latest cookbook for a minimum donation. All proceeds will benefit the Rainer Vista Boys & Girls Club. As I mentioned, a very impressive winery line-up. Pair these wines with the delicious bites from the participating restaurants and you have one amazing Saturday afternoon! Let's hope for some amazing weather to enjoy 'Pour on the Plaza' 2011! Do You Rock & Wine? Win 2 Tickets to Upcoming Wine Rocks 2011! -Post a comment here about your favorite wine/music combination. Is it Chenin Blanc and some country? A big Zin with some classic rock? What combo fits you best? -Make sure you're available and in Seattle, WA on Thursday June 9th from 7-10:30pm. -On Monday June 6th I will take all the comments and randomly draw a lucky winner for the pair of tickets! Make sure to include your twitter handle (if applicable) in your comment. -Your name (and your guest) will be on a list at the door at Wine Rocks for entrance into the event! Good luck and I hope to see everyone Thursday the 9th at Wine Rocks 2011! Well I’ve done a lot of wine tasting (which is quite obvious if you’ve happened to read this blog in the past), and I’ve visited most of the AVAs of Washington to do said tasting. There was just one major area left for me to visit and I finally had the opportunity when we ventured east for the Walla Walla Spring Release in early May. My friend Annie (@BlackPearlSEA) and I set out from rainy Seattle with high hopes of sun drenched vineyards and copious amounts of Walla Walla wine. While we didn’t necessarily get those sun drenched vineyards (that was some wacky weather that weekend..), we did get to experience some of the best of Walla Walla and had some great stories along the way! Wine Rocks. No, really, it does! 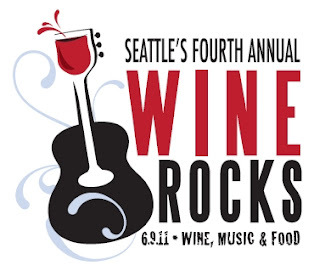 At Seattle’s 4th annual Wine Rocks event (@WineRocksSEA), not only do you get to taste wine and listen to music (which can be pretty standard at tasting events), you get to taste wine and listen to music played by the winemakers that just poured you the wine! This year’s event, held at the Georgetown Ballroom on June 9th from 7pm – 10:30pm, brings together wine, food, and some amazing music from some prominent Washington winemakers. I attended last year’s event at the Hard Rock Café, and I was seriously impressed with the talent that was displayed, both in the bottle and on stage. While the Hard Rock was a great venue as far as location, the brand spankin’ new nature of it, etc, it was pretty cramped in there. The winemakers practically had to scream over the music to describe their wines as some of them were basically right next to the stage. I’m definitely looking forward to this year’s venue, as I hear that it’s a bit more spread out and accommodating. This year’s event will feature 30+ wineries and breweries, and music from Jamie Brown (Waters Winery), Chip McLaughlin (Vinyl Wines) (@VinylWines), Rob Newsom (Boudreaux Cellars), Gordy Rawson (Chatter Creek Winery and a few more special performances! This is a great event that is sure to sell out, so get your tickets now and get ready to rock out (just don’t rock too hard and spill your wine!) at Seattle’s Wine Rocks on June 9th! I’ll see you there! I decided that it would be fun to do pieces on the different aspects of wine making. As I'm sure you've deduced by now, I love to learn. Some of my favorite wine adventures have come in learning experiences (remember that Bordeaux blending I did? Awesome!). For this series, I'll focus on separate pieces of the wine making process. Maybe take a tour through a vineyard, help out with crush, and of course, bottling. I'll do a separate write-up on each of these different activities. My first post in the series (obviously not in any sort of order) is on bottling. Enjoy! 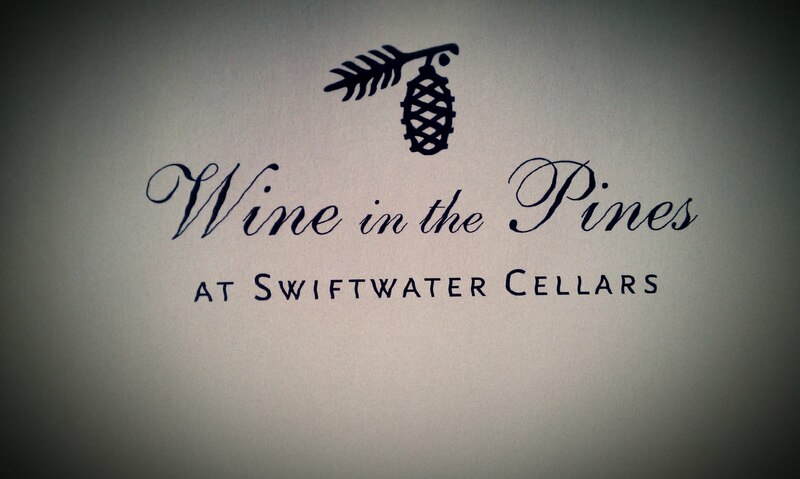 I've always enjoyed volunteering with wineries. One local winery that I have helped out on a few occasions now is Northwest Totem Cellars, so when Mike Sharadin posted a note saying he was looking for a few volunteers for a Saturday afternoon of bottling, I jumped at the opportunity. The winery is located at the home of owners Mike and Kate Sharadin, located on the Redmond/Woodinville border. Mike has his own bottling equipment, but every winery does things a little bit differently. Mike stated that a lot of the smaller wineries have their own small bottling set-ups and once they reach a certain size (i.e. they reach a certain case production), they will utilize a mobile bottling truck. This truck is basically a bottling line on wheels and provides all the necessary equipment for bottling. Mike estimated that up to 85% of wineries in this area bottle using the mobile truck. At Northwest Totem Cellars, the bottling line is set up in an area designated for this purpose. The volunteers each had a specific responsibility in the line. Once we got going, we were bottling about 45 cases an hour! At 12 bottles to the case, that was a whopping 540 bottles that went by in just ONE hour of bottling. On this day we were bottling two separate wines. We started with the 2008 Qo-ne, which is a blend of 60% Cabernet Franc, 29% Cabernet Sauvignon, 9% Syrah, and 2% Petit Verdot. We bottled up 102 cases of the Qo-ne, which comes out to 1,224 bottles! WOW. It doesn't hit you just how many bottles go through the line until you do the math on it! After a lunch break, catered by Kate Sharadin, we headed back out to bottle up the 2008 Sangiovese. We bottled 62 cases of the Sangiovese, or 744 bottles. It was a lot of fun to be a part of the process! Coming up in less than just one week is the grand daddy of them all (when it comes to wine events). This year’s Taste Washington (@TasteWashington) will be held Saturday and Sunday, March 26th and 27th, with the Seminars being held at Bell Harbor International Conference Center and the Grand Taste at Qwest Field Event Center. This continues to be THE wine event of the year, with the Grand Taste featuring more than 200 wineries, much more than any other wine event in the state. Oh I look back with such joy on this year’s Seattle Food & Wine Experience (SFWE). What an experience it was! One thing I noticed immediately during my first re-con swing (yes, the best plan of attack is to first know WHAT you’re attacking) through the Seattle Center Exhibition Hall was the food. Because I attended this event in 2010, I had something to compare this year’s event to. There were definitely more restaurants in attendance at this year’s SFWE, and that was just fine by me! Well by now I think it’s quite apparent that I like wine. And I like food. And I REALLY like wine dinners. Food and wine pairing has become one of my favorite things, and while I don’t consider myself anywhere near an expert at it, I do enjoy tasting other people’s (who are more “experts” in pairing) menus. In the early part of February I, along with a usual partner in crime @erindrinkswine, attended another wine dinner at one of my favorite restaurants, Russell’s Dining & Bar (@russellsdining). 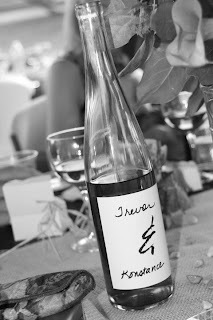 As you may or may not remember, I attended a wine dinner at Russell’s back in April of last year for Sojen Cellars of Everett. Chef Russell Lowell creates some of my favorite meals and he really has a knack for pairing his delicious courses with wine. Switching it up a bit, this dinner featured a California winery, which is not a region I have had the opportunity to taste paired with food. I had also never had Duckhorn wines (@duckhornwine) so I was eager to try something new! Food is delicious. Wine is devine. Add food + wine together and you have next month’s marvelous food & wine event, the Seattle Food & Wine Experience (SFWE). The event, which will be held Sunday February 27th, 2011 from 1-5pm, will showcase wines from Washington, Oregon, Idaho, California, Spain, Italy, France, New Zealand, Australia, Argentina, South Africa and more. This worldly showcase will feature over 1,000 different wines as well as bites from 24 of the finest Seattle-area chefs and restaurateurs. 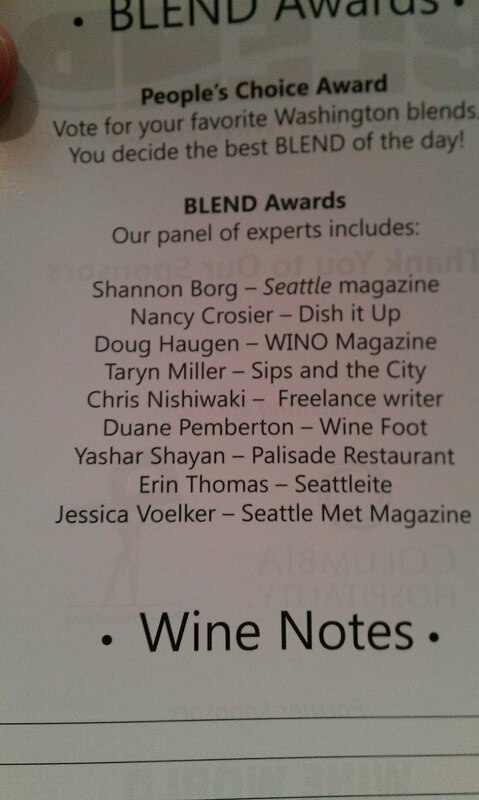 Last year’s event was my first foray into large wine tasting events here in Seattle. It did not disappoint. The location of the event, the Seattle Center Exhibition Hall, is perfect, as it provides a nice open space to sip wine, snack on tasty food bites and mingle with other SFWE attendees. • The Taste of Tulalip Lounge – all of the Tulalip Resort chefs will be on hand cooking their latest Taste of Tulalip creations. 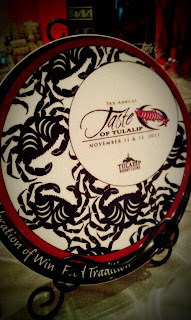 Remember my amazing tasting notes from the Taste of Tulalip and the preview event? This Lounge is one you don’t want to miss. • Foster Farms Market – a huge supporter of the independent family-owned farm, Foster Farms chicken is raised locally and delivered to the market in 48 hours or less. At SFWE, visit this exhibit to visit with the one and only Kathy Casey, taste her chicken-bacon cupcakes, and pick up a copy of her book. There will be 400 copies given away compliments of Foster Farms! • Chef in the Vineyard – Chateau Ste. Michelle Culinary Director and cookbook author John Sarich will be preparing four different recipes taken from his book “Chef in the Vineyard” and pairing with individual wines. A comparative wine tasting bar will allow guests to sample wines from different growing regions (Italy, New Zealand, Washington, and Oregon) via side-by-side comparison. • Beecher’s Cheese – Did someone say cheese?! Beecher’s classic Mac & Cheese served along with Goose Ridge wines. • Tom Douglas Rub with Love – This spectacular line of rubs is featured at SFWE along with fresh American Lamb. Lola Chef Liam Spencer along with Oregon lamb producer Reed Anderson are the Shepherd and the Chef team for American Lamb representing the Pacific Northwest. • Brewery and Cider Companies – wine not quite your thing? There will also be more than 10 local and national breweries and cider companies on hand sampling and educating! All this food talk making you hungry? It should! In attendance representing the amazing Seattle food scene will be Andaluca Restaurant, Arnies, bin on the lake, Blueacre/Steelhead Diner, BOKA Kitchen + Bar, The Capital Grille, Coho Café, Copperleaf Restaurant at Cedarbrook Lodge, Earth & Ocean, The Georgian, Ivar’s Seafood Restaurants, Purple Café and Wine Bar, Ray’s Boathouse, Ruth’s Chris Steak House, and Salty’s on Alki. For the most current list of wineries and breweries pouring at SFWE, click here, and for a detailed restaurant list click here. And we ALL love having fun for a charitable cause, so this year’s event benefits The Giving Grapes Foundation, a 501c3 organization assisting local charities who provide financial assistance to service industry professionals who have to take time off work due to injury or illness. 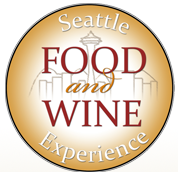 Convinced that the Seattle Food & Wine Experience is for you? Well it is! Head on over to Brown Paper Tickets to get your tickets for the event, just $49 (and that’s a LOT of food and wine for $49!). Your ticket price also includes a souvenir wine glass to use for your tasting at the event and take home with you afterward. This year’s Seattle Food & Wine Experience is gearing up to be a fabulous event once again. Peha Promotions doesn’t ever let us down when it comes to fantastic wine events, so I’ll see you there! Sips and the Single Girl: Where's the Beef? I have been thinking about writing this post for quite some time, mostly because this question has continued to plague me as I attend more and more wine tasting and social events here in Seattle and the surrounding area. When it comes to wine events, where are all the guys? Sure, there are plenty of men at these events, but the 20 to 30-something variety of these men only seem to attend at the request of their other (female) halves and are seen perusing the tastes of the event in tow of someone else. The events clearly lack single men. What gives?